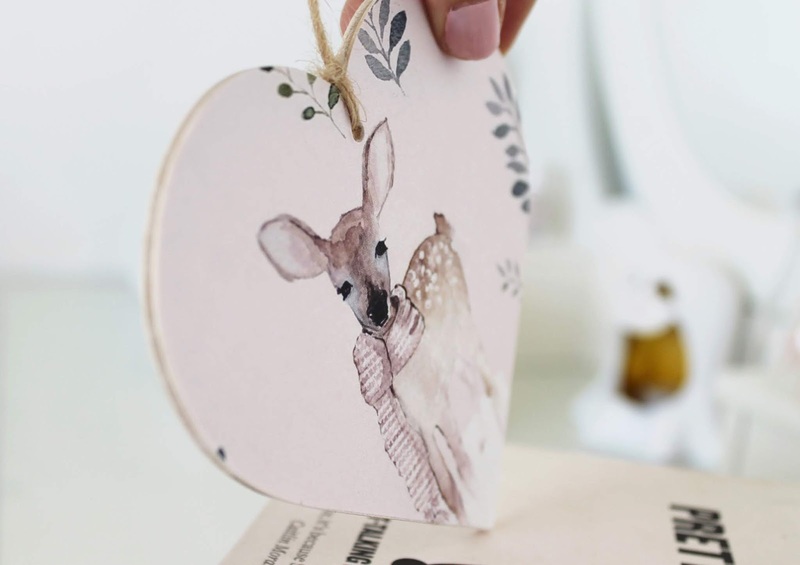 A pale pink deer heart on Etsy from TheLittleLoveHeartCo, find it here. 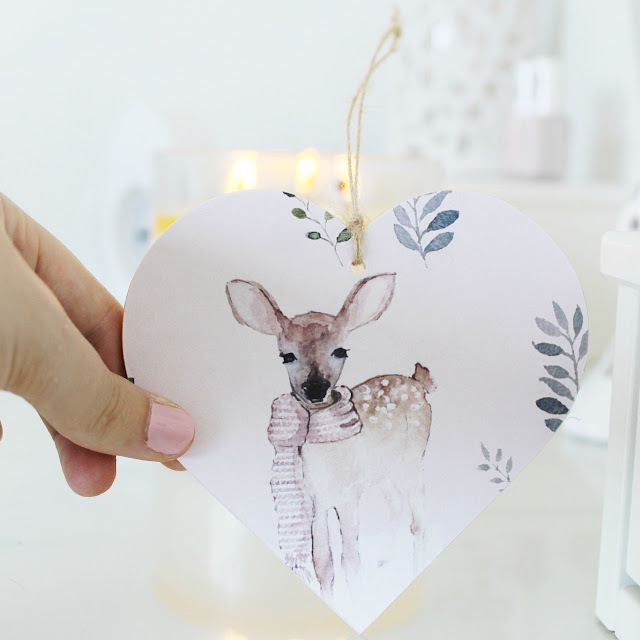 I love adding little mori girl touches, woodland creatures, light and neutral hues and pieces from my mori wishlist I made last year. 90% of my prints are by FreddieTheKid on Etsy, I bought about five in total haha and lovely Lauren who makes them also refunded me the excess postage. I chose the Dogue print on my wishlist by WishCraftBoutique and all of them are of beautiful quality. 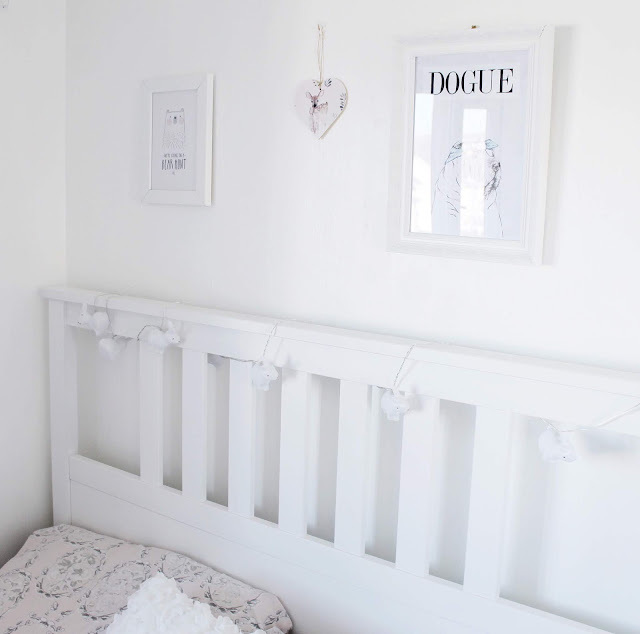 I was unsure of how I was going to accord everything in my room with a white/grey theme but love that it accentuates my light furniture and I can still inject my favourite pastel colours, blush pinks, taupes and of course white bunnies! When I have more pennies there are many more on my wishlist! 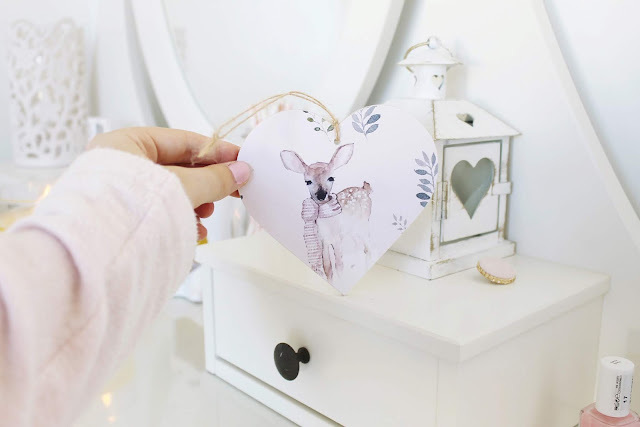 I discovered afterwards that so many lovely bloggers also make and sell prints on Etsy, like Lizzie Bee's spooky cute print here and it would make me so happy having them on my walls. Other ways I decorate are displaying nail polishes in milkshake hues, pretty packaging, some cosy bits and pieces from the Range and my ghostie here. Ommmmmmmg your room is so dreamy <3 I loooove everything about this! Your room looks super cute, it puts mine to shame! I feel like I need to do a massive clearout and adopt more of a minimalist lifestyle... It's so cluttered at the moment it's unbelievable. I love your makeover! 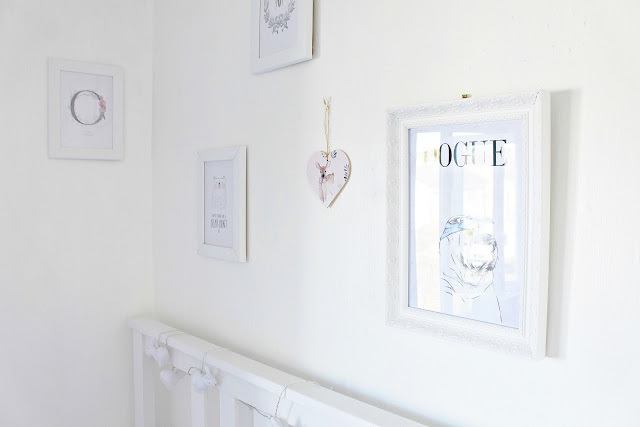 Whiter walls are great because everything you put there stands out more. The little deer ornament is adorable! Your space is so so beautiful. I love all of the white and soft colours. It looks elegant, romantic, and still inviting. Your room looks like such a little haven! Your room looks so adorable and waaay comfy. Such a stunning room, I love all of the little touches!